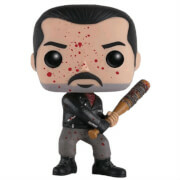 The Walking Dead TV Series Prison Guard Zombie Pop! Vinyl Figure features the iconic creepy Walker still dressed in his prison guard attire, rendered in the awesome Pop! Vinyl format.